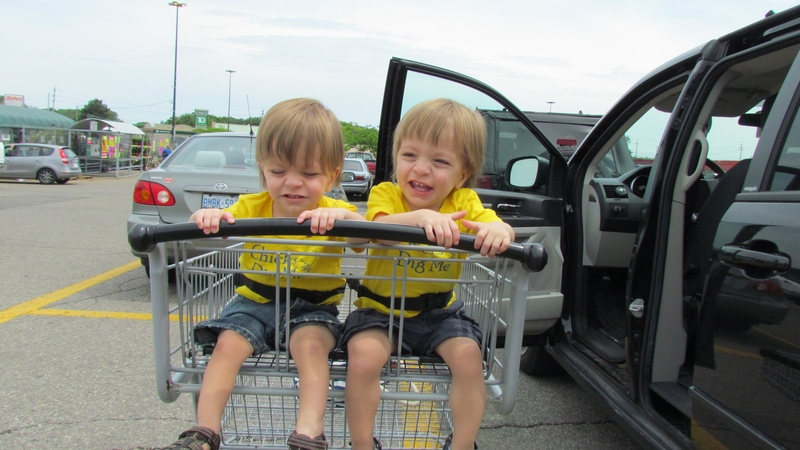 grocery shopping with twins Archives | How Do You Do It? I take my daughters’ safety very seriously. 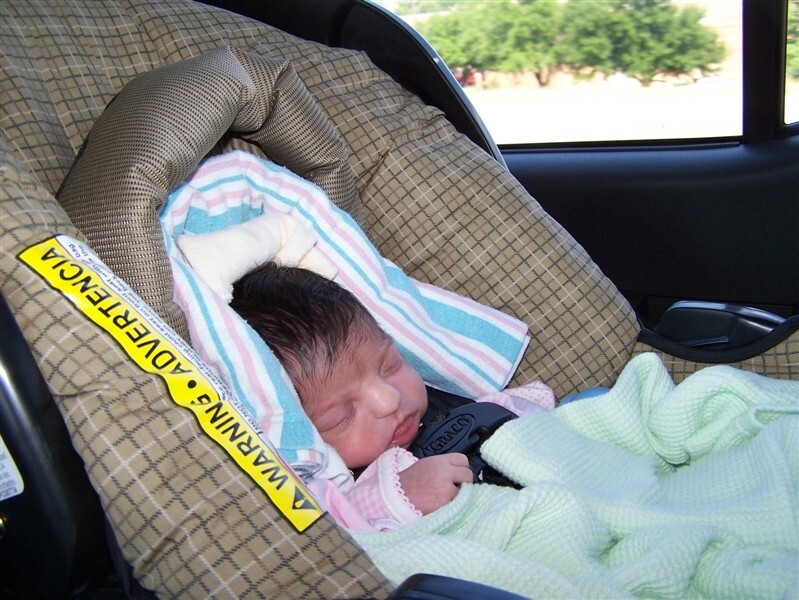 When parent friends were turning their kids forward-facing in the car as soon as they hit their first birthday and 20 lbs, I kept mine rear-facing until they were well beyond two years old and beyond the minimum weight to be turned forward-facing legally. 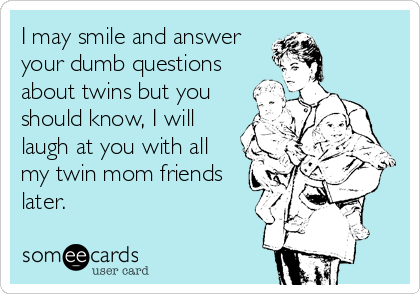 In fact, I would have kept them rear-facing longer if I were as good then as I am today at standing my ground with my (now ex) husband. They were in 5-point harnesses until the end of second grade, and only moved to boosters because their grandparents said that they didn’t feel comfortable installing car seats in their car. 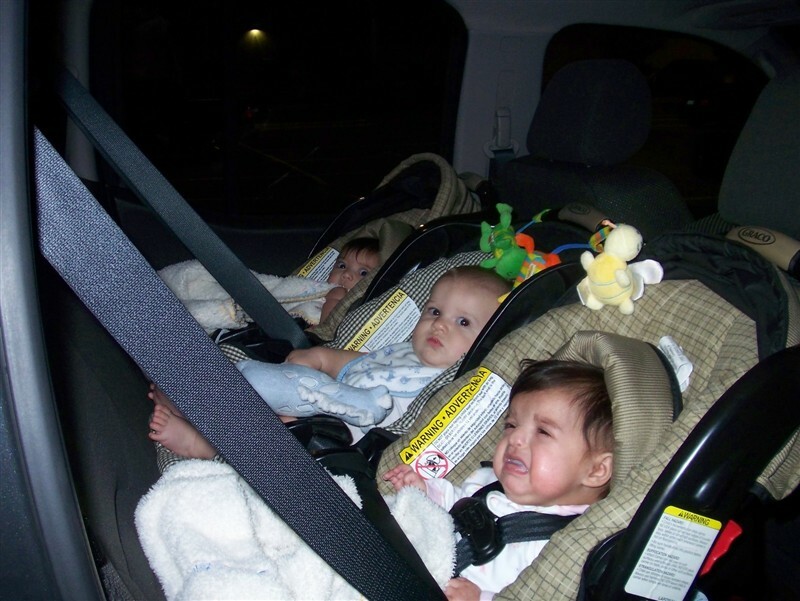 The reasons for keeping young children in rear facing car seats are well documented. I won’t bother going into them here. 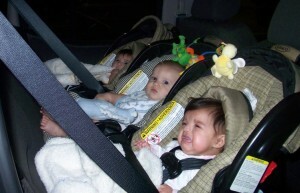 I’ve read the manual to every car seat we’ve had, all the way through. 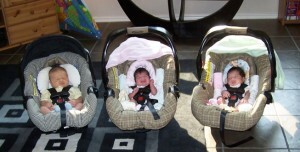 The Graco Snugride. 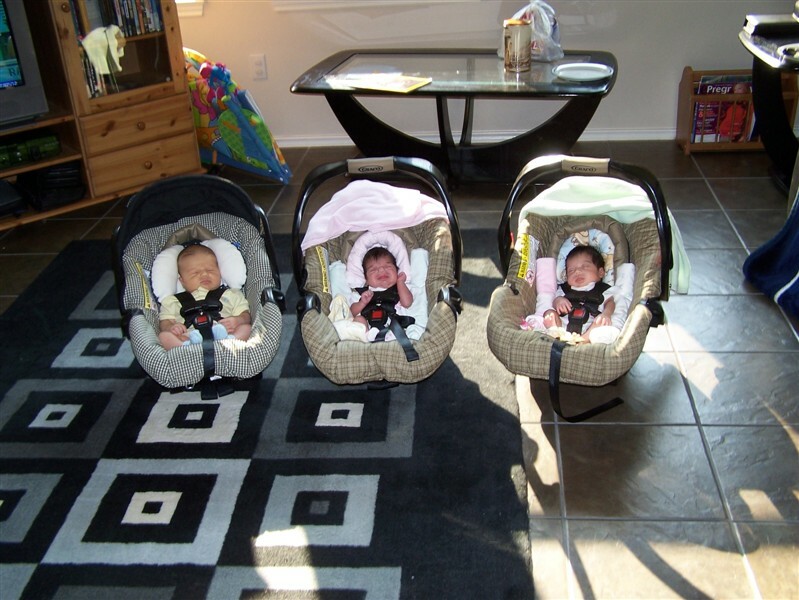 The Britax Marathon. The Diono Radian. The Graco Turbobooster. The Graco AFFIX. Yes, I keep all my manuals and refer back to them often enough that I know where they all are. I’m that person who read the entirety of the manual to my sewing machine before I loaded the first bobbin. 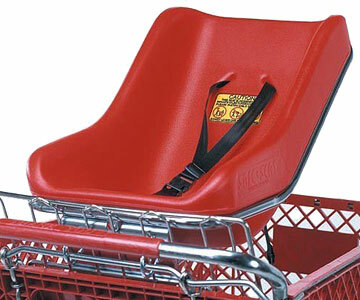 The Snugride manual said nothing about my infant bucket seats not being safe in shopping carts… and I made the mistake of assuming that they were safe. 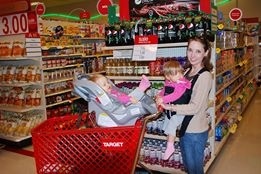 Sure, I’d seen the carts with built-in baby seats and figured they were handy for a lot of families. 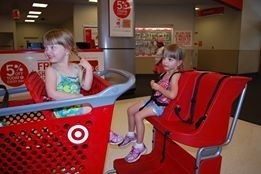 My two babies weren’t going to fit in that one seat, though. I was so proud of having figured out that I could fit one car seat in the child seat area and the other seat sideways across the main cart area. I had plenty of room for the actual groceries under the cart. 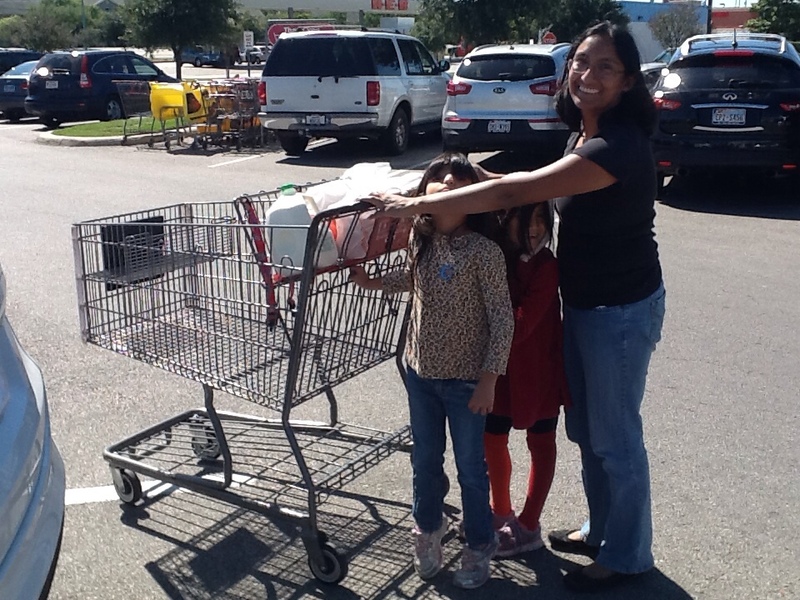 In the years since my daughters have outgrown bucket seats, I have learned a lot more about car seats and shopping carts. I’ve read all about the tragic death of 3-month-old James Anderson Berg in a car seat/cart accident. 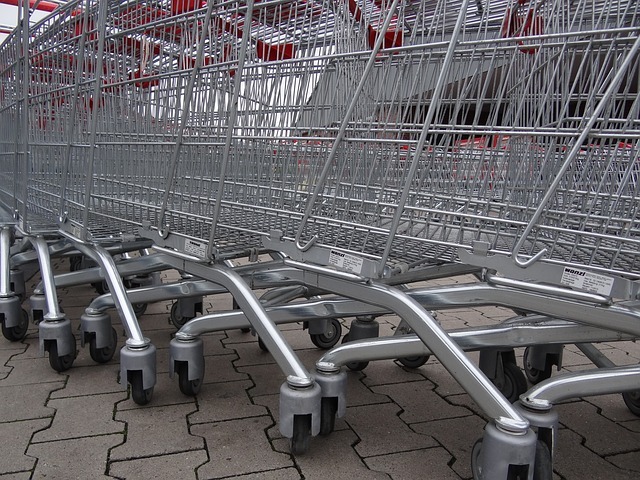 It’s not terribly uncommon for carts to tip. This video, despite its happy ending, is terrifying even for those of us who wouldn’t dream of leaving a 5-point harness unbuckled. The American Academy of Pediatrics says, “Do not place an infant carrier on top of the shopping cart.” They have some relatively ridiculous “safer ideas” (at least for this home cook and single mother of twins) about leaving kids at home when shopping, but the rules are solid. Although we never suffered an accident, I wouldn’t put a baby seat in a cart’s seat area if I were to do it over. 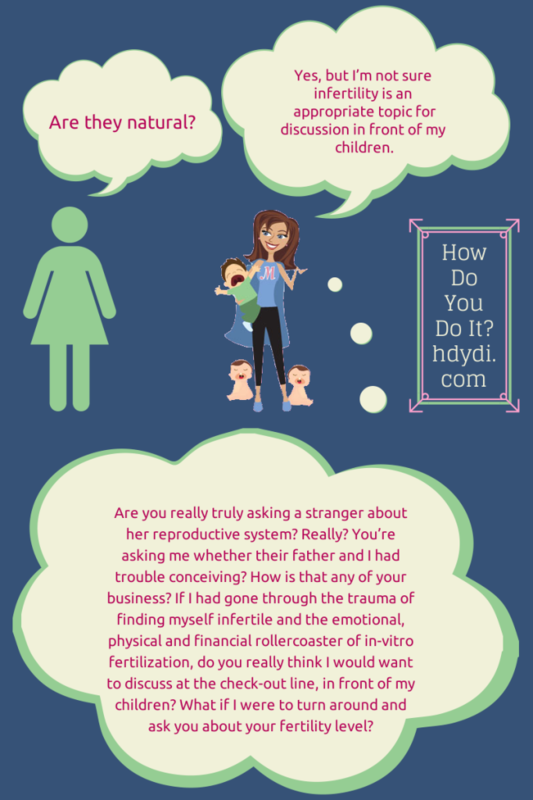 The Jenny Evolution has some ideas for dealing with singleton infants at the store, and you can check out our thoughts on making it through a shopping trip with multiples. 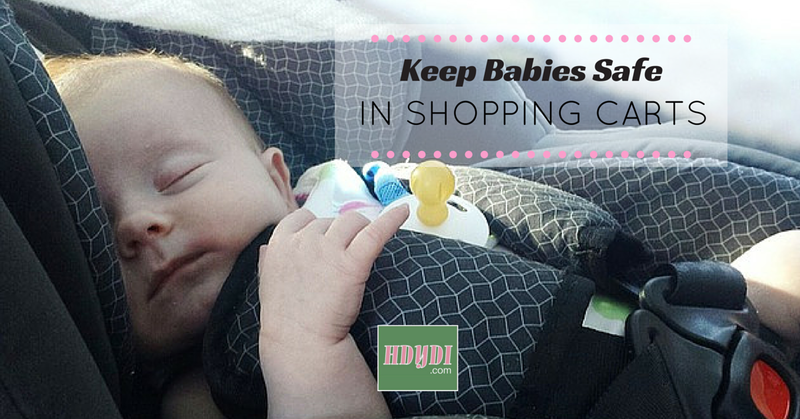 I encourage you to educate yourself and take a second to think about how you’re comfortable using shopping carts for your infants. 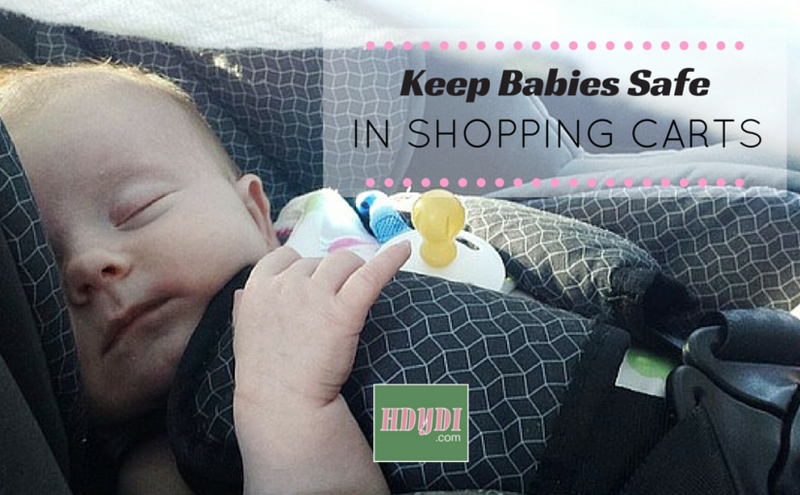 They’re a wonderful convenience, and it’s not too hard to use them safely. 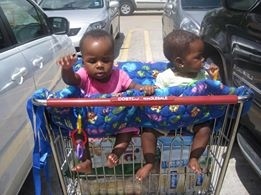 I used to know how to go grocery shopping with Tiny and Buba. We would go to the large grocery store just down the road, and I could push both of my kids in the stroller (facing each other so they could entertain each other while I shopped) while I pulled the cart behind me. Yes, I certainly got many a look from shoppers who were probably thinking that this was an insane way to shop, but it worked well for me. 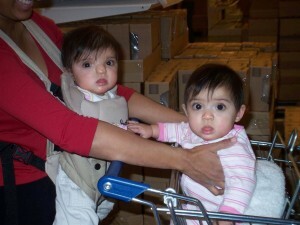 Tiny and Buba were happy, I could fill up the entire cart, and the more we shopped this way, the more efficient I became. 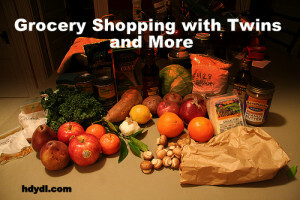 Then I discovered another grocery store a few towns over that was a bit smaller, but less expensive. Well, who doesn’t want to save money these days? So, we started shopping there instead. 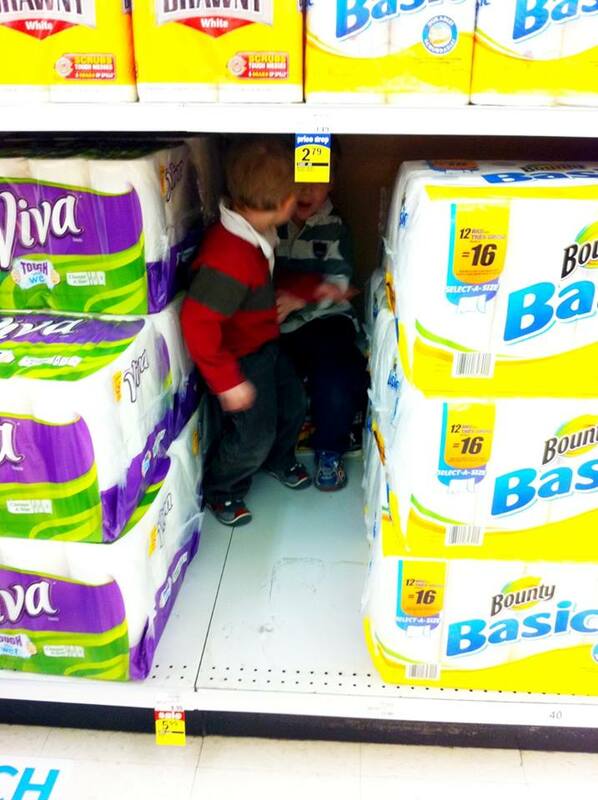 However, the aisles in that store are so narrow that it was impossible for me to shop in our usual fashion. No biggie. I just put one in the front of the cart (no double seaters here) and wore the other on my back in the Ergo Carrier. 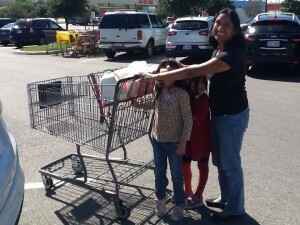 I lost a little bit of cart space by having a kid in the front, but for the most part, this method work well for many, many months. Until just recently. 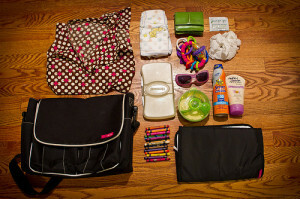 About a month ago, I began having some difficulties with whoever was riding in the carrier. 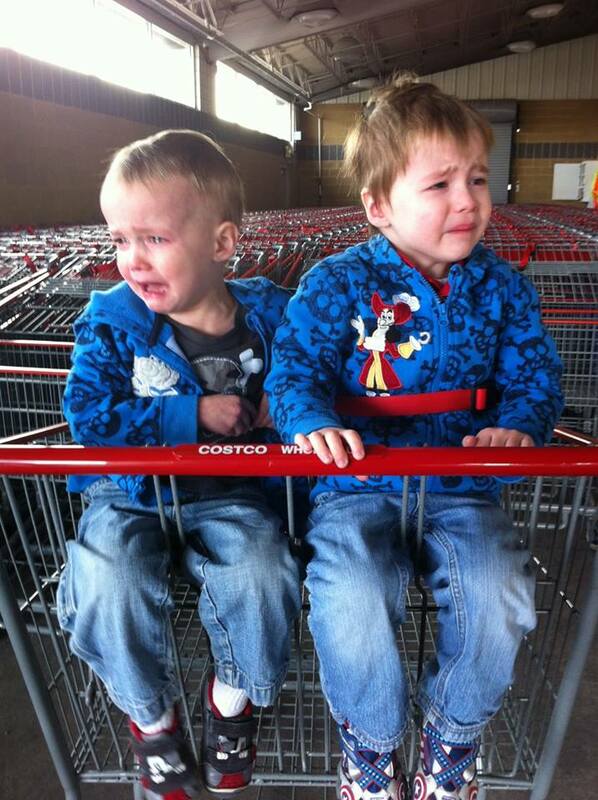 It seems that both kiddos have decided that all the cool kids are riding in the cart, so the one on my back makes trouble throughout the entire shopping trip- pulling my hair, flinging his/her body backward causing me to be horribly unbalanced, and reaching and grabbing at any displays in sight just to try and get a rise out of me. So now the Ergo option is out. I know this will sound crazy, but this past Tuesday, I decided to take Buba and Tiny into the store and just let them walk while each held one of my hands. We only needed one thing (I was actually making an exchange- hot salsa (picked up by mistake) for the mild salsa we actually needed). I thought this might be a good way to test whether on not two two-year-olds could manage the awesome responsibility of sticking by Mommy and not touching anything while shopping. 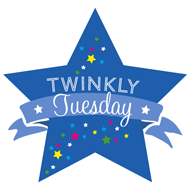 I know-What was I thinking?! Of course, this turned out to be one of my worst ideas ever. What should have been a quick trip in and out turned into an event that took seemingly forever. Tiny was actually pretty well behaved, but Buba was a mess. He didn’t want to walk in the direction that I needed him to go, and would flop on the floor and refuse to move. Nice. Once I finally got him to follow my lead, he decided that he needed to touch everything in the aisle that was at his level. I know- Why did I ever think he would do anything differently? When we finally got our salsa and got back up to the customer service counter to make our exchange, I thought I was home free. But, Buba gleefully wriggled out of my grasp and ran off towards the produce section. Thank goodness Tiny is fast and Buba is slow. We took off after him, and once we finally caught him, headed out of that store as fast as we could. 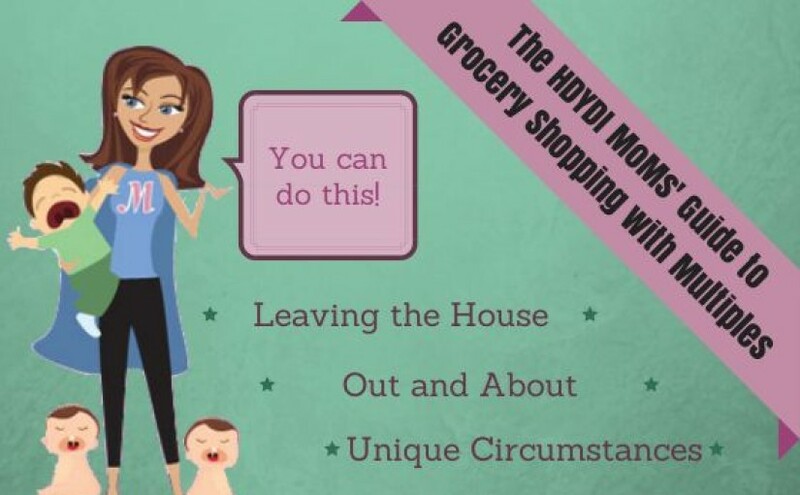 I realize that the easiest way to grocery shop might be to do it without the kids, but it seems like my after bedtime hours are already filled with so many other things. 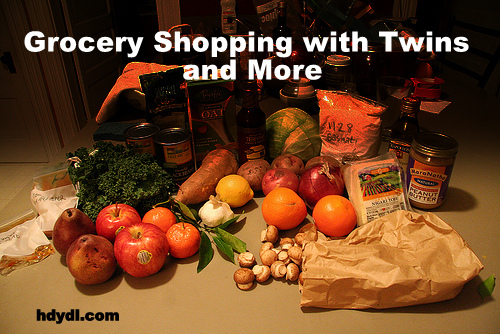 So, what I need to know is this: How do you get your grocery shopping done? 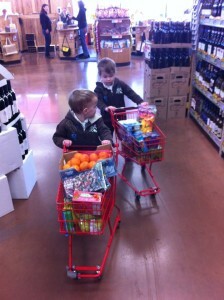 Is it possible to grocery shop with two toddlers? And if yes, I need details, please.